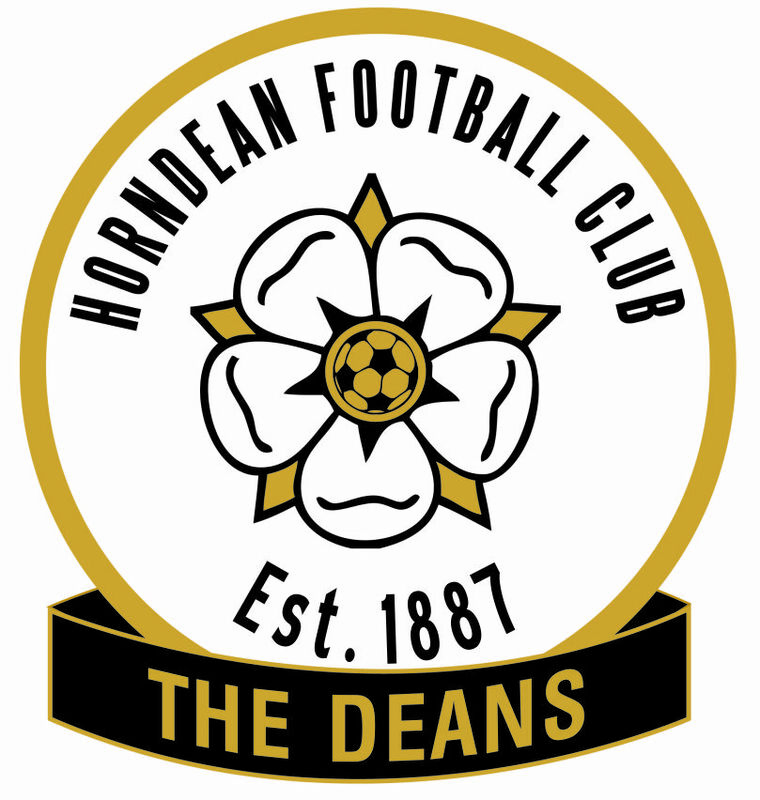 Horndean Football Club Growing Fast! 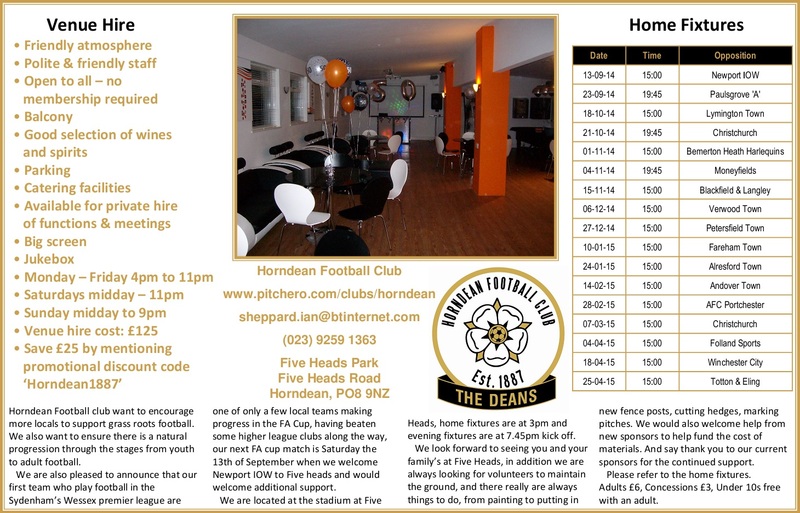 Horndean Football Club (The Deans) is steadily growing in membership, supporters and with their facilities. Recently with the support of their sponsors they have been able to complete their Physio room, purchase a modern PA system and have further plans for improvement. In terms of our season we have had a very good start although Saturdays game against Lymington does not support that statement, we are progressing through the FA Vase, Pompey cup and Russell Coates cup Unfortunately our dreams of progressing into the proper rounds of the FA Cup were halted by a controversial goal at the hands of Newport IOW. In terms of league placement we are now 10th in the Wessex premier division and looking to climb. We are still in need of volunteers to help with the maintenance of the ground, nothing too strenuous, marking out pitches, a bit of painting and help with weed control and maintaining of the stadium, any help would be very welcome. We are also very keen to hear from any local skip or rubbish removal firms as we need to remove some rubble and grass cuttings from the ground. If there are any companies that would like to help please in exchange for space in our programme and advertisement board on the pitch not to mention our website then please get in touch as we would love to hear from you. Note – I am currently looking to support a District Councillor Grant for the club and hope to be able to confirm this shortly. Guy.